The Chemehuevi of the Twenty-Nine Palms tribe of Southern California stands as a testament to the power of perseverance. This small, nomadic band of Southern Paiute Indians has been repeatedly marginalized by European settlers, other Native groups, and, until now, historical narratives that have all too often overlooked them. Having survived much of the past two centuries without rights to their homeland or any self-governing abilities, the Chemehuevi were a mostly "forgotten" people until the creation of the Twenty-Nine Palms Reservation in 1974. Since then, they have formed a tribal government that addresses many of the same challenges faced by other tribes, including preserving cultural identity and managing a thriving gaming industry. A Chemehuevi Song strikes the difficult balance of placing a community-driven research agenda within the latest currents of indigenous studies scholarship. Chemehuevi voices, both past and present, are used to narrate the story of the tribe's tireless efforts to gain recognition and autonomy. The end result is a song of resilience. [A Chemehuevi Song] represents the highest level of academic and community collaboration. . . [It] is the embodiment of an intellectual and cultural relationship that combines an astute analysis from the historian/ethnographer with a melody of rare tribal voices sharing the lived realities-both past and present-that Chemehuevi people experienced, survived, and relied upon to create the cultural resilience they are experiencing today. The sound historical research, sources, and extensive employment of oral history interviews makes this account of the history and persistence of the Chemehuevi an impressive work. Trafzer's book is a wondrous portrayal. . . . Compelling historical discourse. . . . A Chemehuevi Song is a song, and a story, that we should all make time to hear. Clifford E. Trafzer has produced a thorough history of the Chemehuevi people. . . . This work will appeal to a wide audience. It is certainly an important work for California Indian scholars. . . . This book is a song with a very clear message and chorus, and Trafzer makes very clear that the song continues. A well-written and illustrated, carefully documented, masterful contribution to the overlapping fields of ethnohistory, ethnomusicology, Native American and American studies, myth, and folklore. Essential. Some academics are good scholars and a few are good storytellers. 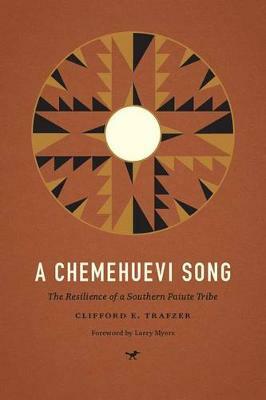 Clifford Trafzer is both. . . . Trafzer presents a nuanced view of the community's culture, especially their songs as methods of dealing with sorrow. . . . A Chemehuevi Song is a testament to their songs as metaphors for the Chemehuevi's adaptations to adversity and relative prosperity.